• All-vinyl construction assures flexible, yet rugged durability in all types of weather. • High visibility protection is provided by the cone’s brilliant uorescent color. • Ultraviolet stabilized to provide maximum resistance to fading. 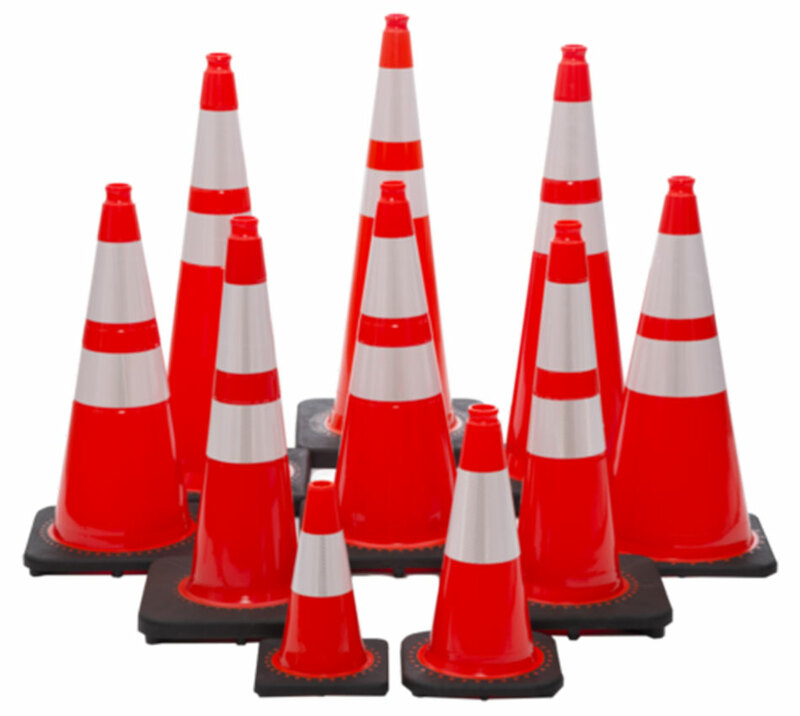 • 18” and 28” cones available with 3M High Intensity collars for increased visibility.